Is the kitchen your playground or the one room in the house where you spend the least amount of time? Do you love conjuring up signature dishes or do you simply warm up prepared meals? Regardless how you answer these questions, chances are you use a few pots and pans from time to time. Of course, your answers do reflect how invested you are in those pots and pans. The more serious you are about your cooking, the more serious you are about your cookware. 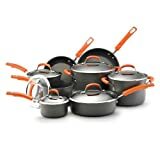 Conducting cookware reviews before making a purchase can be a bit confusing if you don’t know what qualifies as quality. Keeping reading for tips on how to determine which pots and pans will help you in the kitchen. 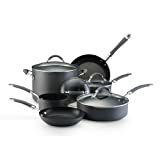 If you’re a casual cook, then you really don’t need more than the basic collection: 2 different sized saucepans; a couple of omelet or frying pans; and a large stockpot. 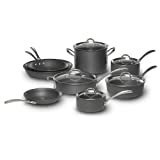 If you cook on a regular basis, then expand your cookware set to accommodate your culinary needs. For example, add another saucepan or sauté pan. Also consider a chef’s pan, which functions as a skillet, saucepan, or wok. The type of cooking you do should factor into your cookware reviews, too. If you tend to do a lot of frying, look into nonstick surfaces. If heat control is important, choose pans with copper or aluminum elements. Oftentimes, these are encased in stainless steel, which ages well. Many designs are classified as hard anodized, which means aluminum is treated to an electrolytic process that oxidizes the metal to prevent rusting. 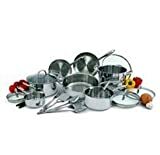 Cook-top designs also will determine the type of cookware to buy. 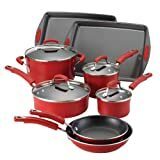 Traditional gas and electric stoves work with all pots and pans; however, flat electric tops require flat-bottom cookware and induction stoves need pans with magnetic bottoms. 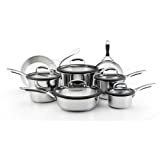 Now that you know how to assess your needs, you’re at the stage in your cookware reviews to evaluate some of the major manufacturers. Since 1975, Calphalon has offered home cooks restaurant-worthy cookware. Its current lines include a variety of finishes and sizes. The hard-anodized design remains a customer favorite thanks in part to its long lifespan. The company also produces stainless steel products as well as select styles in cast iron. 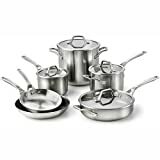 Individual pieces range in price from the affordable for common sizes to pricey for specialized pans. For nearly 100 years, KitchenAid has been designing products to make cooking easier, more effective, and more fun. 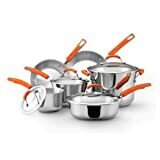 When they think of KitchenAid, most people think of mixers, but the company also produces nonstick, stainless steel, and hard-anodized nonstick cookware. Each piece has a stainless steel bottom that works on all types of cook tops. The brand is sold in sets. Best known for cast iron and enamel-coated cookware, LeCreuset offers a wide selection of pots and pans styles, including French ovens, skillets, and roasters. 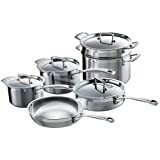 The company also sells nonstick and stainless steel lines, such as its Tri-Ply Stainless Steel pans that feature an aluminum core, not only on the bottom, but up the sides, too. This design allows heat to radiate from all surfaces. Metallurgist John Ulam produced coins and ballistics from bonded metals, but he found it worked very well for cookware, too. After creating a pan to use in his own kitchen, Ulam decided to mass produce an entire line of pots and pans, and in 1971, All-Clad cookware hit the market. 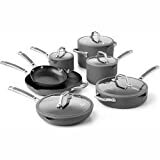 Since then, the company has introduced top-of-the-line cookware, including the d5 Brushed, which features five alternating layers of stainless steel and aluminum. 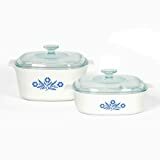 CorningWare is synonymous with casseroles. 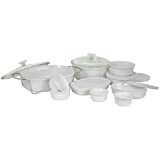 The cookware is manufactured from vitroceramics, or aluminosilicate glass, but is commonly referred to as ceramic. Certain pieces are deemed safe for cook top use; however, the primary use is in the oven. Using the Wolfgang Puck cookware may not make you cook like the internationally renowned chef, but you’ll appreciate his professional design. The round grill pan has ridges that keep food out of the grease while cooking, and the Covered Buffet Server doubles as a stylish serving dish welcomed at any dining table. From her years of cooking quick meals, the celebrity chef designed her cookware to make the home cook’s life more efficient. Oblong pots are more accommodating for dishes like spaghetti. The Deep Griddle pan comes with a glass press to help sear in flavor. Most pieces have nonstick interiors and enamel exteriors.